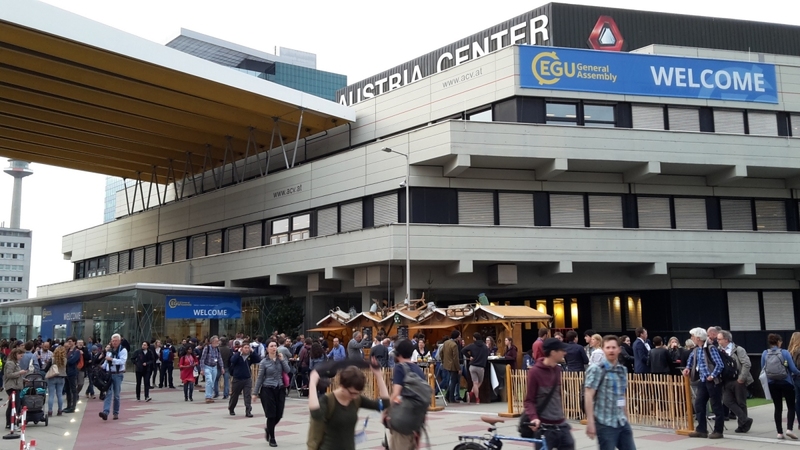 Two posters with outcomes of MORPH were presented at the EGU General Assembly 2018 in Vienna, Austria, 8-13 April. 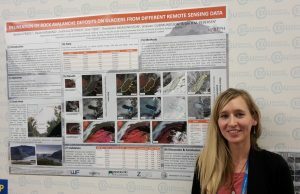 Barbara Friedl presented a poster about the Delineation of rock avalanche deposits on glaciers from different remote sensing data. Within this study we tested the applicability of optical, SAR and DEM data for object-based delineation of three major rock avalanche deposits in the Öræfajökull area in Iceland. 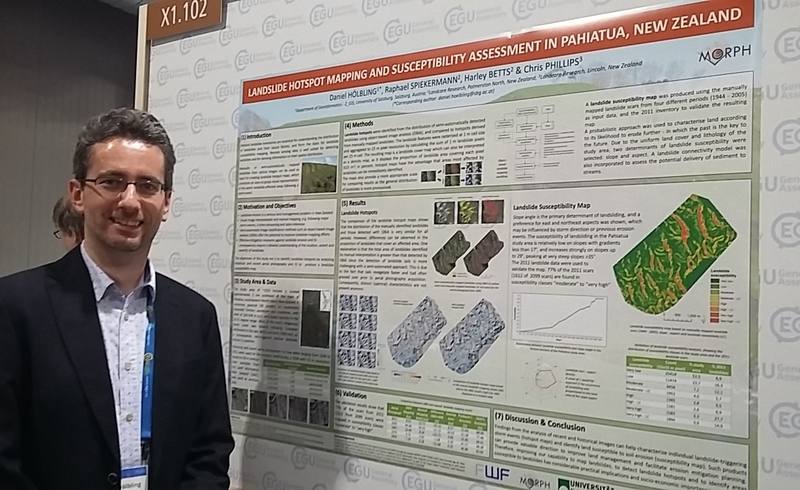 Daniel Hölbling presented a poster on Landslide hotspot mapping and susceptibility assessment in Pahiatua, New Zealand. This joint study with scientists from Landcare Research in New Zealand compares manual interpretation and OBIA for mapping shallow landslides as basis for landslide hotspot detection and provides a landslide susceptibility map. Next to the dissemination of project results, meetings with the local collaboration partners from Iceland took place and new contacts to international scientists were established.